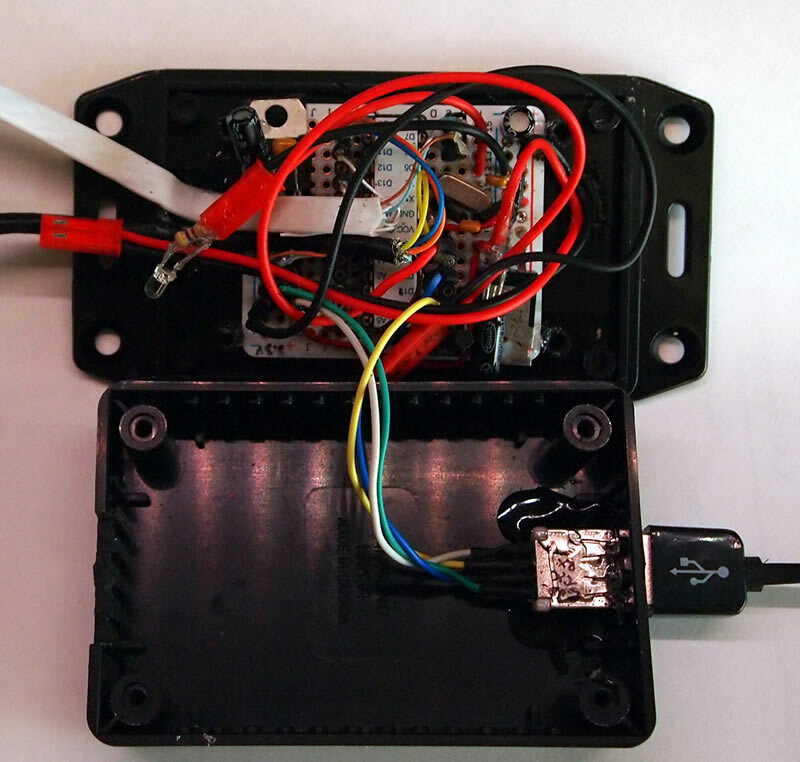 The general idea is that the GPS tracks the coordinates while driving, the Arduino sketch has an array of red light camera location coordinates that it compares against the current reading. On a regular basis, it checks the current position of the car against the array of red light camera locations. With each check, it finds the closest red light camera location. If that location is less than a pre-determined buffer distance (e.g. 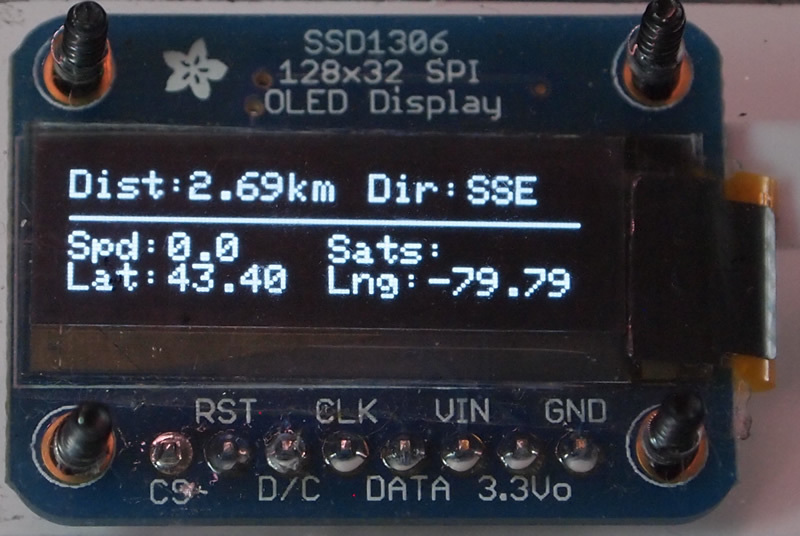 3 km away), it will begin reporting on it via the OLED as well as the Status LED. green – indicates that the system is functional and GPS is returning results. blue – early warning of approaching red light camera location less than 600 metres away. yellow -warning of red light camera less than 200 metres away. red – red light camera intersection less than 50 metres away. 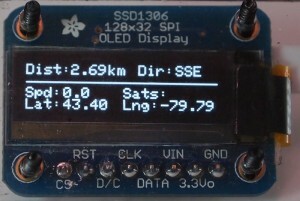 The OLED will display the distance to the Red Light Camera in Km, Direction that the vehicle is travelling, Speed, # of Satellites, Latitude and Longitude of the vehicle. The main unit consists of an Atmega 328P mounted to an Adafruit Perma-Proto Quarter sized breadboard. The board has both 5v and 3.3v rails running down either side to provide power for various components. The rest is a spaghetti mess of wires for all the components. I also decided to make this unit (somewhat) modular. The main board has been fitted with female header pins to allow all components to be plugged/unplugged. So, if I want to re-use the controller for another project, I can just unplug all the bits and I have a dual power supply-ready Arduino. 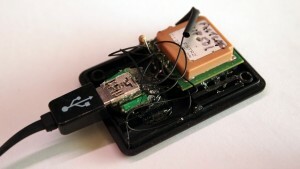 Given that I would likely want to re-use the GPS on other projects, I hacked in USB ports on the main unit as well as a mini-USB connector on the GPS module. 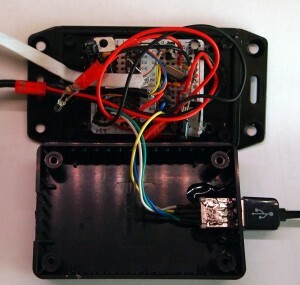 As noted above, the GPS module is modular. With the mini-USB connector, I can move it over to other projects in a breeze. There are only 4 connectors that need to be brought to the Arduino to use this unit, so USB cables do the trick. Although there are more pins needed, the wiring can be done at the GPS module end itself (e.g resistor between two pins). I also wanted a minimal USB cable, so I picked up one of those self-retracting flat cable USB dongle thingamabobs and just took out the self-retracting bit. The cable is very flexible as well. Adafruit UP501 GPS Module: The UP501 is small, which makes it great for fitting into small packages. Another nice feature is that you only require 4 wires between the controller and the GPS, which makes it a perfect candidate for using readily available USB cables. I managed to get this one before the newer Adafruit Ultimate GPS that comes with a backup battery. As a result, my unit takes up to 45 seconds to as it would cold start every time it is powered up. This is negligible considering I don’t need the GPS functioning the moment I start my car. However, for other projects, this could be an issue. Once the unit acquires its first fix, it provides fast accurate updates. It is also great at acquiring signals indoors.. 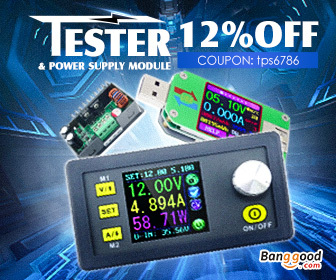 When testing, I would put it on my window sill to get a fix, then once fixed, I could move the unit to my desk to continue testing. 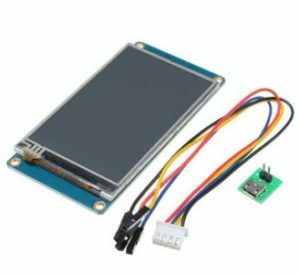 Adafruit 128×32 OLED Module: I won’t go into detail here as I have already done a review on this unit here. However, I will say that this is a nice, crisp, small display that works very well with small projects. 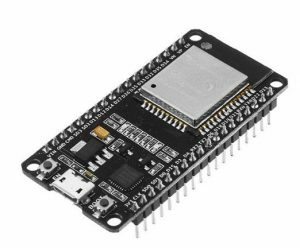 Looking for an Android remote control for your robot? Check out BTBotControl – I built this to remotely control IPCamBot and view a live feed of a mounted IP Camera. // Select which PWM-capable pins are to be used. // from GPS RX to ground. int updateFreq = 1000; //frequency to update GPS polls. Good not to go below 1000 ms.
boolean debug = true; //print debugging statements to the serial port. //set the RGB status LED to off which is HIGH (255) reason: Common-Annode. // uncomment this line to turn on only the "minimum recommended" data for high update rates! //compare the latest reading with the array of red light camera points and find which is closest. //Process alerts via various means based on pre-defined distance thresholds. //just show status that GPS is working. // Draw animated graphics to OLED - we will use the GPS speed to mimic changes in speed of the lanes. i = 128; //we have 128 pixels to loop through for animation of the road dashed lines. reset when it gets to 0. //show if there is no data - hearbeat of system - shows it is working. Fast blink. Where did you get the cases? Awesome project. And one that could be modified to any application (gas station finder, free wi-fi finder, White Castle finder, geocaching, etc). I don’t have a specific URL, but I recall Googling them at the time..
Great project! Where does the unit get its power? Are running the USB to a cigarette lighter? If so, what lighter adapter did you chose? 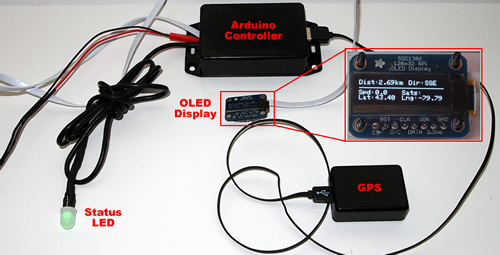 The USB goes between the GPS receiver and the Arduino controller. The power is wired from the controller to 12V at a mains connector I added to my fuse panel (for this and other projects in the future). After 2 speeding fines in 4 days (4 years ago for my last one) I have decided to build something like this. The source code looks like a great place to start. I will be dropping the OLED screen and just using the status LED that will be mounted in the drivers view. As a driver you don’t have time to look at a screen but a flashing LED quickly gets ones attention. The purpose of this DIY isn’t to help you get away speeding and running red light cameras. You got speeding fines …because you were speeding. Obey the signals pls.. This DIY should only be used for information purposes. Would love to, but I don’t have any. Sorry. Can I put inside program multiple location? 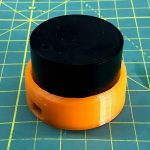 Work with classic gps nmea 4800 antenna? How can I change GPS boud rate to 4800 in software?